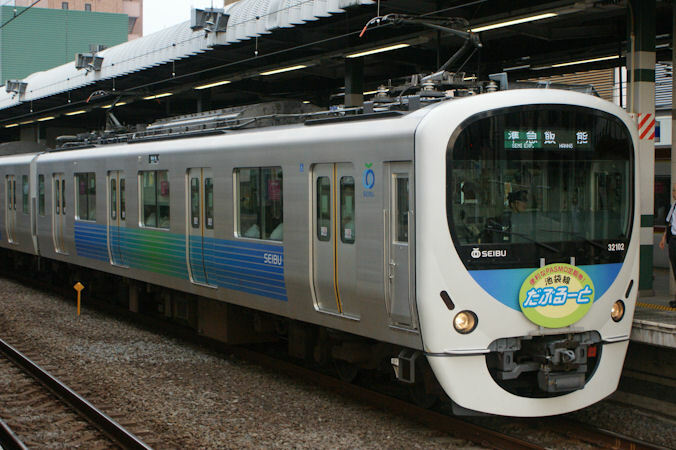 The 30000 Series is a four-door, commuter type electric multiple unit designed by Seibu to replace its older three-door rolling stock on the Seibu and Ikebukuro Lines. 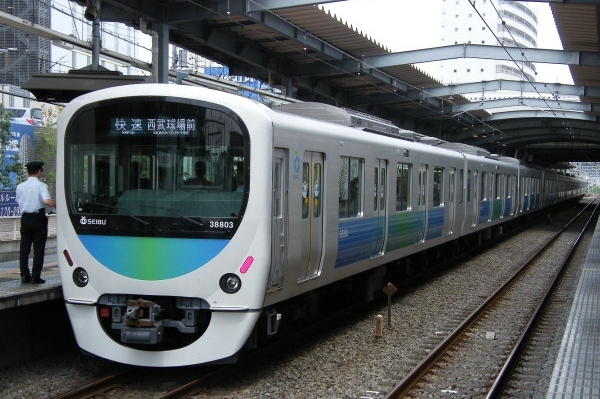 Known as the "Smile Train" because of its unique end cars, the 30000 Series is a completely new design, both inside and out. It is currently considered the flagship of Seibu's fleet and appears in many of the company's ads. The body is constructed of aluminum alloy and is based on the Hitachi A-train platform. The unique end cars use FRP to help give them that happy look they have. The egg-themed interior of the train was designed by a women-only design team and is unique to the 30000 Series. The seats are specially designed to help reduce fatigue during long-distance rides. It was also the first Seibu train to introduce LCD displays inside the train.